Have You Suffered an Accident at Work or Contracted a Work Related Illness? If you have been injured in an accident at work that wasn’t your fault, or developed a work related illness, you may be entitled to compensation. These days, we are bombarded with messages from the media and law firms offering their services, sometimes making unsubstantiated guarantees of success. Therefore, choosing the right law firm to act for you has become a minefield. Why Choose Geoffrey Lurie Solicitors Newcastle For Your Personal Injury Claim? Geoffrey Lurie Personal Injury Solicitors Newcastle, are your local team of experts with a long proven history and excellent track record of success in personal injury, accidents and illnesses related to the workplace. Firstly, we will decide with you, if you have a claim. 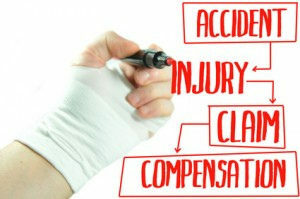 If you do, we will manage your claim under a NO WIN-NO FEE arrangement. What that means to you is that there will be NO CHARGE to you for your legal costs until your claim is settled, at which time your legal costs will be met as part of your claim. What our clients find to be just as important a benefit of using our local service is that you have the opportunity to deal face-to-face with the solicitor handling your claim at our local offices in Newcastle upon Tyne. Loss of earnings – have you been unable to work because of your injuries and as a result you have not be paid your fully salary? If so, you may be able to recover this loss. What about expenses? What have you had to pay out? For example, the cost of travel to and from medical appointments, or the cost of prescriptions. Have you needed help with personal care because of your injuries? For example, you have had difficulty cooking and cleaning the house and you have had to pay for this help or a family friend has helped you? General Damages are the pain,suffering and loss of amenity element of your claim. There are a number of ways this can be determined. The “Guidelines for the Assessment of General Damages in Personal Injury Cases” published by the Judicial College, is a guide that helps legal professionals assess the value of your injuries. Are you likely to suffer a loss in the future? For example, you may be so injured that you are unable to return to work at all, or, you may only be able to perform a less strenuous job. We at Geoffrey Lurie Solicitors take the time to value your claim expertly so that you receive appropriate compensation for your injuries.